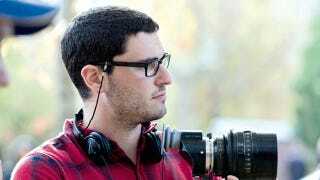 StarWars.com has just officially announced Josh Trank, director of Chronicle and currently hard at work on Fox's Fantastic Four reboot, has been officially hired to direct one of the stand-alone Star Wars movies. "We're thrilled to welcome Josh into the family," says Lucasfilm president Kathleen Kennedy. "He is such an incredible talent and has a great imagination and sense of innovation. That makes him perfectly suited to Star Wars, and for this new slate of movies that reach beyond the core characters and storylines of Episodes I through IX." It's kind of getting hard not to be a little bit optimistic about these movies. These guys are young, creative, clearly talented... these are definitely the kind of guys I want working on new Star Wars films. So let's see... if this previous report is correct, and the first three stand-alone films will be about Boba Fett, young Han Solo and presumably X-Wing-based movie Red Five... I've got to guess Edwards has Boba Fett and Trank will be doing young Han Solo, although the only proof I have is my gut and that Chronicle and the FF reboot are focused on young characters. Which still leaves Red Five. Any guesses? Any directors on your wishlist?